Morphine: What are the Side Effects on the Body and the Brain? Morphine is highly addictive, and despite its medical use, it has many side effects. The side effects of Morphine are often advantageous in a medical environment. However, the adverse effects of Morphine can be highly problematic and potentially dangerous for a person’s health. This article looks into Morphine’s effects and how they differ in from the short term to the long term. Find the best treatment options. What are the Side Effects of Morphine? Why Get Medical Help for Morphine Abuse? Due to Morphine affecting both the body and the brain, it is both physically and psychologically addictive. 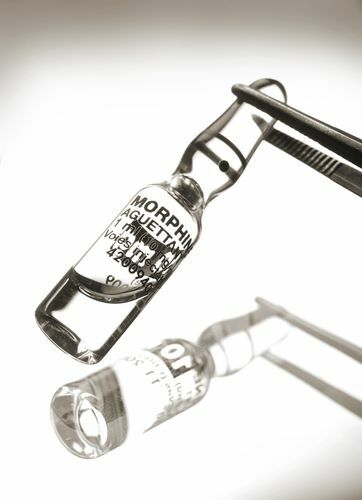 Many users get hooked on Morphine after receiving it during medical treatment. They then continue to seek the drug for its recreational and numbing effects. Typically, Morphine pills side effects affect both body and mind. Morphine use can affect the user in both short and long-term manners. In the short term, adverse morphine effects are often lessened in comparison to the long term. However, this does not mean they aren’t a health hazard. Drowsiness – Caused by Morphine numbing on nerves, it can make the user feel tired and only half awake. Shallow breathing – Morphine slows the body’s systems, including breathing. This can make it uncomfortable. Constipation – Also due to the slowing of the bodies systems and dehydration. Unconsciousness – Often a slightly more extreme version of drowsiness, the user will sometimes become completely unconscious. Nausea – A common side effect when a drug alters the body and the way it works. Depression – This is down to the drug suppressing the nervous system. As the comedown begins, the body has adjusted to the drug and the mind struggles without it. Over time, Morphine use presents an even greater danger to the user. The long-term effects of Morphine are often stronger versions of the short-term effects. Dependency and tolerance – The user’s body may adjust to the drug and need more of it to take effect. They may also rely on it entirely to effectively function. Restlessness and inability to sit still – Morphine impairs the nerves, so as it wears off, long-term users may suddenly feel too much and not be able to sit still. According to the US National Library of Medicine, there is also a big concern over the psychological effects that long-term Morphine use may have. 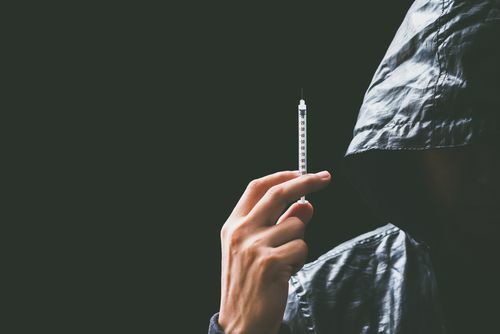 Long-term morphine abuse has been linked with patients exhibiting frequent delusions and hallucinations, as well as memory loss and the impairment of psychomotor speed. If Morphine is taken in excess, regularly or not, it may be necessary to get medical help. One reason to get medical help may be that the body is developing a tolerance to the drug. Another may be the negative effects of Morphine. Morphine side effects can be dangerous if left untreated, which is why those experiencing them should ensure they get the best and most suitable care possible. Morphine may have many medical uses. However, it can be dangerous and should be treated as so. If you do decide to get medical help and remove Morphine from your life, you may need a way to deal with a life without Morphine. Many inpatient, outpatient, and therapy programs provide ways of dealing with Morphine withdrawal and cravings. There are a variety of programs to suit every lifestyle and personality. These programs may even offer substitutes from the drug, so you can lead a happy and healthy life once the drug is out of your system. If you are experiencing the long-term effects of Morphine abuse, or know somebody who is, you should seek medical assistance. Long-term abuse of Morphine is dangerous and becomes more of a hazard every day you go without help. For further advice, such as finding out where to get treatment or the most suitable treatment for you, please call our hotline on (888)-459-5511.